Your heart belongs to someone, and you want them to know it, especially on Valentine’s Day, the international day of L-O-V-E! Whether it’s mom, sister, cousin, aunt, or friend, show your favourite gal pal your token of appreciation in the season of love with this specially curated box! 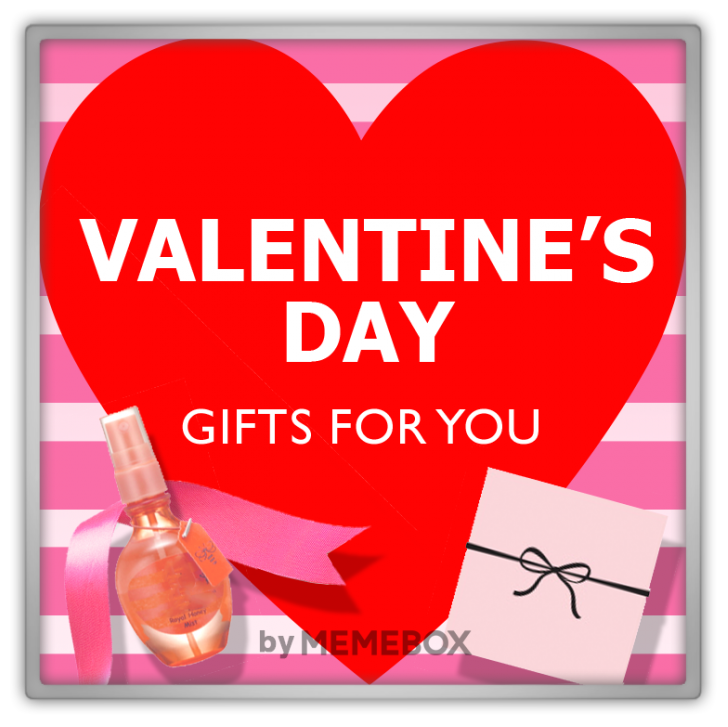 This unique collection of innovative K-Beauty skincare and body selects is perfect for expressing your one-of-a-kind-love! 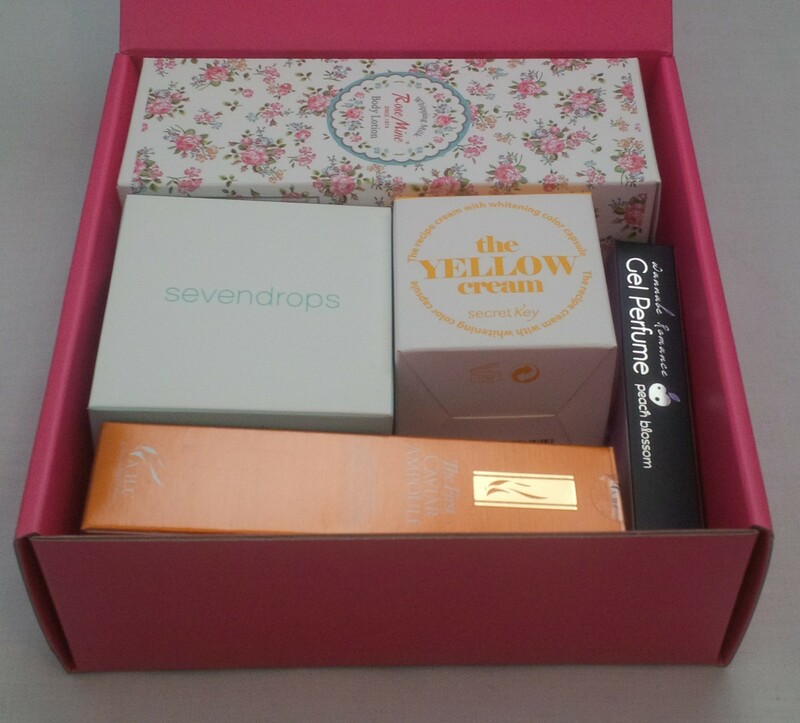 Yes, it’s no ring in a box, but this box full of wonderlicious K-Beauty goodies will get her beaming! Each goody packs a punch on its own, but all together, it’s a mega K-Beauty punch that will get her jumping with excitement! 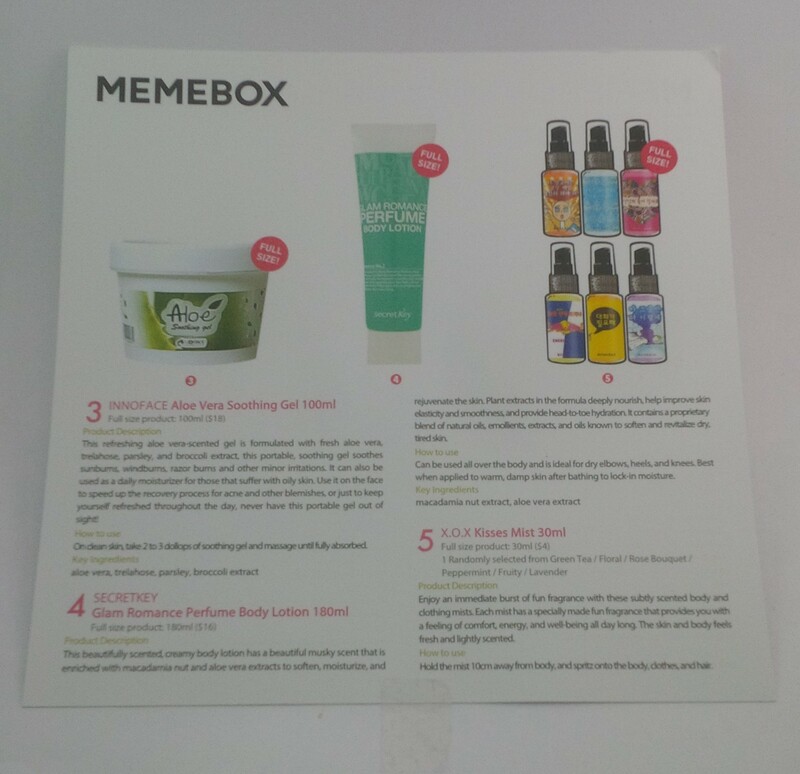 This box was part of a bundle so I grabbed it as my last Memebox purchase ever. Let’s see what we got! 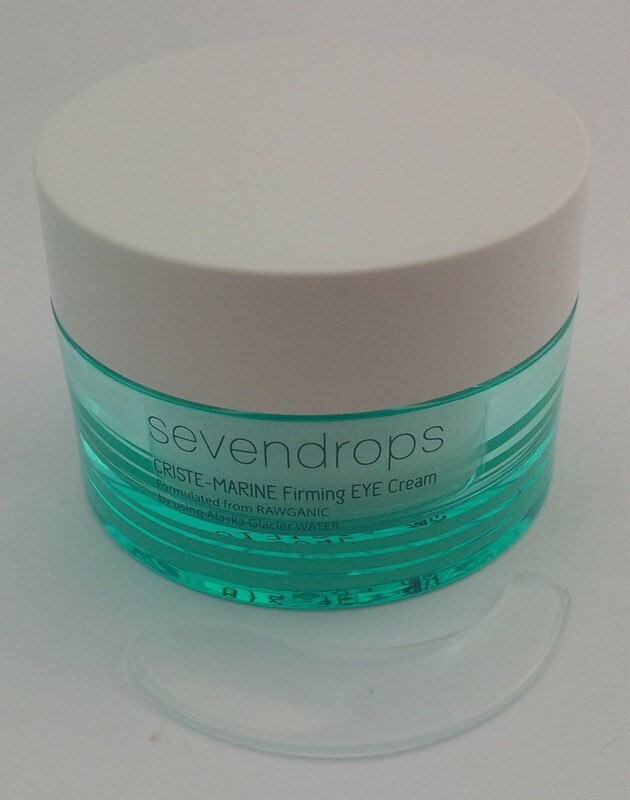 This high-performance eye treatment uses Criste-Marine extract and Alaskan Glacial Water to improve multiple visible signs of aging around the delicate eye area including lines, wrinkles, and crepiness. Potent Criste-Marine, a wild plant that lives along the coast of the sea, is renowned for its ability to delay premature aging by smoothing the look and size of wrinkles and firming up saggy areas. The velvety texture instantly nourishes and revitalizes as it helps create a more youthful look. Eyes appear firmer, brighter, and more beautiful. I have a bit of a gripe about this one to be honest. This is quite an expensive, fancy sounding eye cream that is in a larger than usual size. Most eye creams I’ve used are 15 ml and this one is 25. All of this is great except for the fact that this expires in November of 2015. 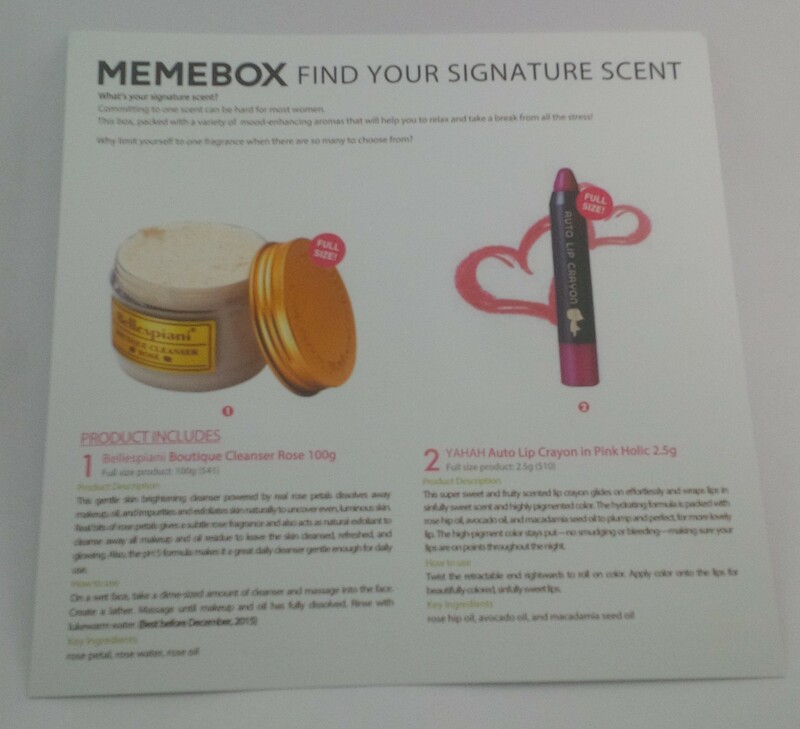 What the heck Memebox? I am using a 15 ml eye cream that I started about 5 months ago and I’m still not finished it. You expect me to drop everything and use this bigger eye cream in only 7 months. I am a little peeved about this as you may be able to tell because this sounds like a beautiful product and I feel like they are kind of ripping us off a bit. Like the cherry on top of the end of Memebox’s international career. Other than that, this eye cream does sound good and the only reason it upsets me so much is because I actually want to be able to use it in its entirety. This powerful anti-aging treatment features concentrated doses of caviar, berry complex, ginseng, and other active ingredients that correct visible signs of aging in a single step. Caviar, known as the diamond of all skincare ingredients, hydrates, brightens, repairs, protects, and nourishes the skin for complex perfection. Day after day, the skin is transformed: imperfections and wrinkles are diminished, the skin texture is refined, and the complexion becomes more even and radiant. The smooth and soft texture of the fluid melts onto the skin for a naturally perfect and luminous result. It would be nice if this product lives up to all of its promises but I won’t find out for awhile. I am still working on an ampoule that is only about half done so this will be packed away until I need it. It would be really great if it could get give my skin a lot of hydration because these days it really needs it! This high-performance skin-brightening facial cream delivers powerfil vitamins to the skin, fighting external damage, increasing luminosity, and supporting natural collagen for a visibly brighter, firmer, more youthful appearance. 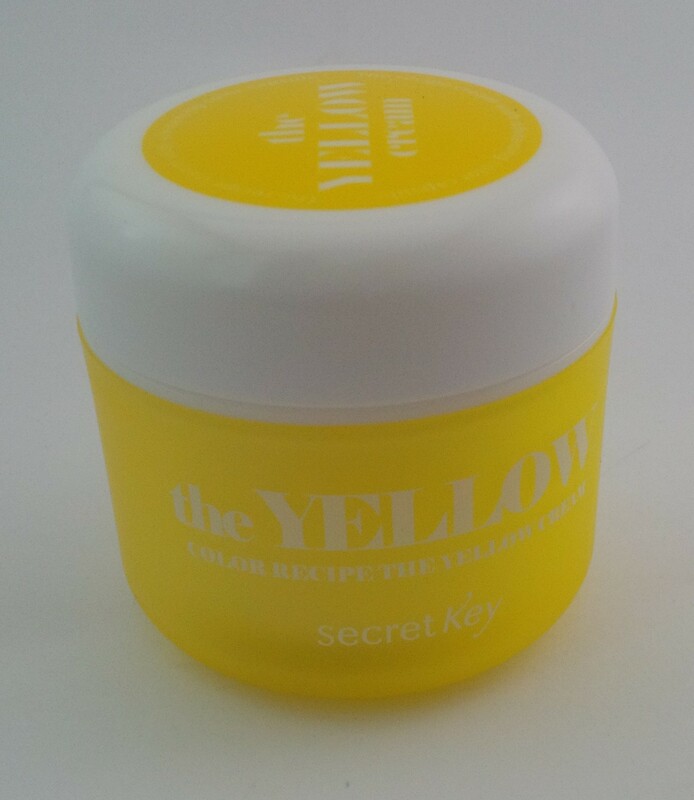 The Yellow Cream brightens, firms, hydrates, and fights damage done onto the skin with its vitamin-rich formula, and the Blue Cream replenishes moisture content to aging and damaged skin to restore a glowing, youthful radiance to the skin. Antioxidant rich vitamin capsules burst onto the surface of the skin to deliver cosmic doses of nutrients to the skin, leaving skin fresh and ab. Paraben-free, mineral oil-free, Benzophenone-free, phenoxyethanol-free, animal cruelty-free. I love how there are just weird translation issues in these descriptions sometimes. Such as “leaving the skin fresh and ab”. Where were they going with that one? 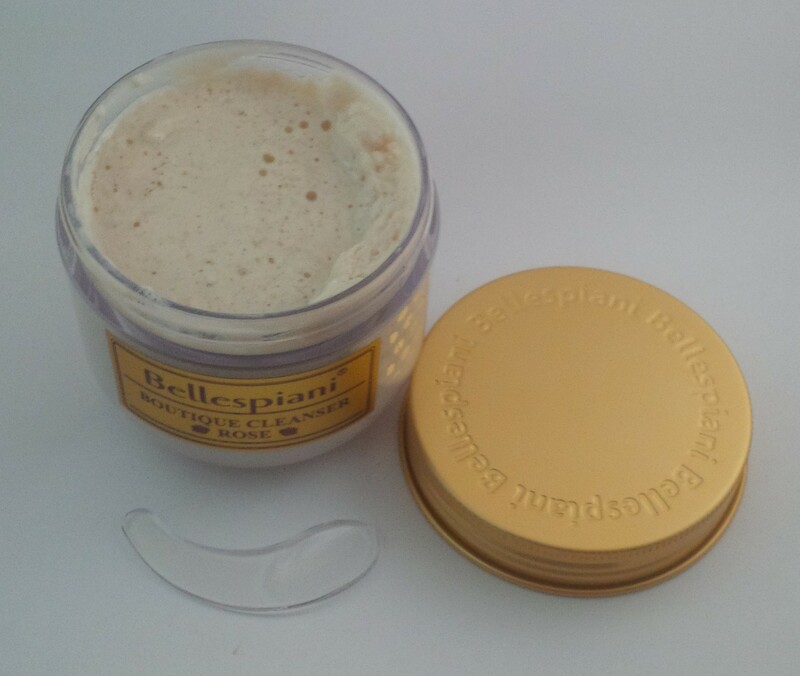 I received the yellow version of this cream which is brightening and hydrating which sounds good to me. Much like every other product, it will be awhile before I get to this one. I have so many creams stashed away, it may take me forever to get through them all. Stylish and lovely, with a distinctive personality, Peach Blossom gel perfume takes you on a romantic getaway with pleasant peaches and crisp florals. Portable and easy-to-use, this travel size gel perfume goes on clean without leaving any sticky residue behind to leave a subtle and lovely fragrance. Use it on the hair, wrist, and body to invigorate your senses. Top Notes: freesia, Seville orange, jasmine tea, grapefruit. Middle Notes: jasmine, rose, magnolia, white peach. Base Notes: white musk, amber, white cedar. This is something that would have made more sense in the signature scent box than this one but what do I know. I have never even heard of gel perfume before so this was quite interesting to me. 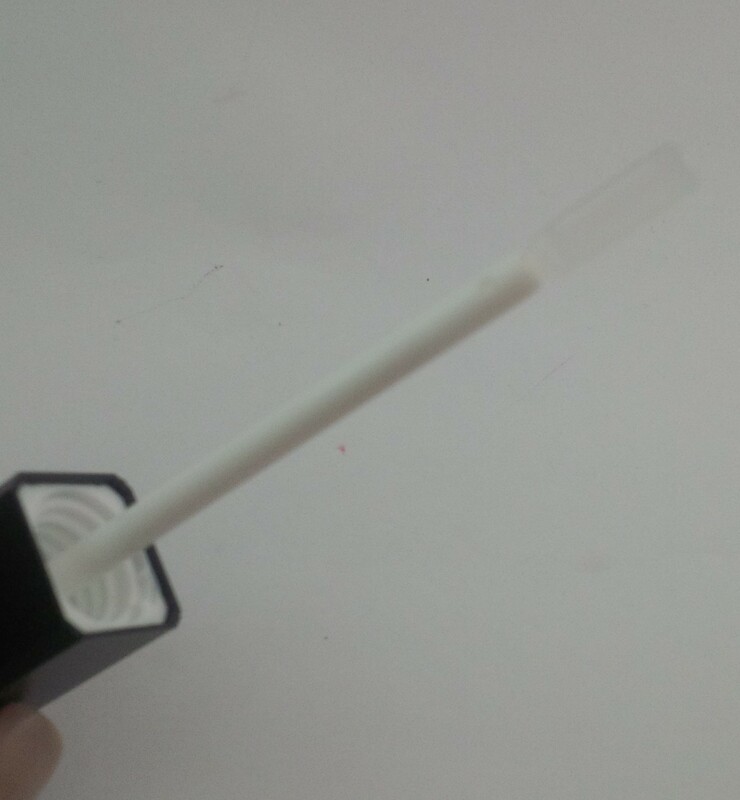 As you can see in the picture, the applicator is almost like a little spatula which could almost pass as a lip gloss wand. I do like the scent of this one although it is really subtle and doesn’t last for too long. Maybe I need to try it out some more to see if it really is as subtle as I think it is. This is another one that has to be used up within 2015 which annoys me once again although not as much as the eye cream does! This rich yet surprisingly lightweight hydrator delivers the perfect level of moisture to the skin. Its rich, deep-sinking formula is made with mango seed butter, rose water, and rosehip seed oils and more emollients to swiftly replenish lost moisture to the elbows, knees, feet, and hands. This lotion goes on silky – never greasy – and is perfectly encased in an adorable floral container and has a fun and fruity passion fruit fragrance. This is a huge container of lotion. I like to use my FCS whipped cream so I don’t tend to use other lotions but I will definitely try and use this up. The smell is decent so I won’t hate putting it on which is always a good thing! Overall I am relatively happy with this box. Other than my annoyance at the expiry dates of products, I think we got some pretty good stuff in this box. I paid $25 for this box and the retail value of the products is $146. 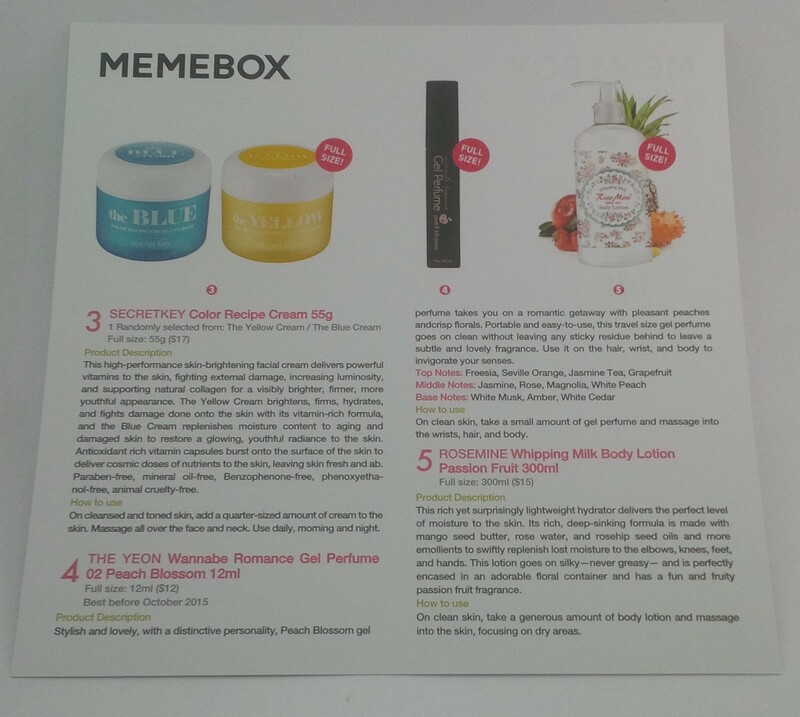 I just wish that Memebox had left off with the final boxes being great all around! 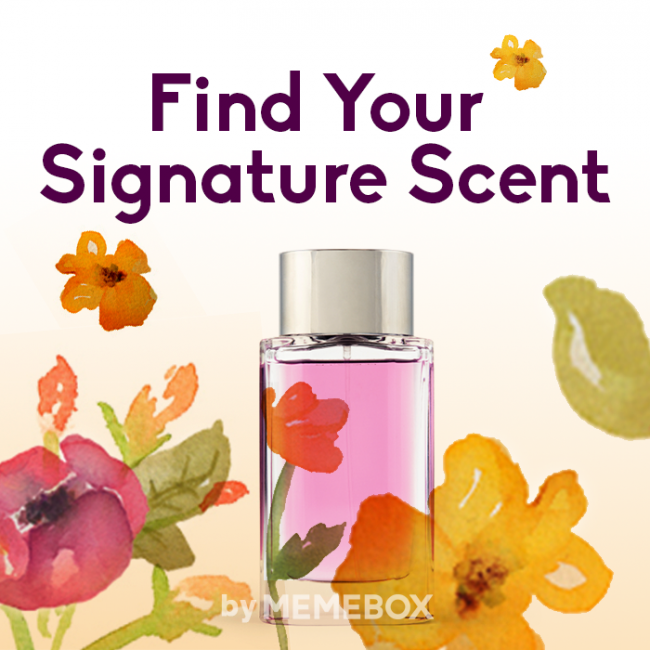 What’s your signature scent? Committing to one scent can be hard for most women. This box, packed with a variety of mood-enhancing aromas that will help you to relax and take a break from all the stress! Why limit yourself to one fragrance when there are so many to choose from? I ordered this box because I thought there would be some cool scented products and some perfumes in here, let’s see what came in the box and what I thought of it! This gently skin brightening cleanser powered by real rose petals dissolves away makeup, oil, and impurities and exfoliates skin naturally to uncover even, luminous skin. Real bits of rose petals gives a subtle rose fragrance and also acts as natural exfoliant to cleanse away all makeup and oil residue to leave the skin cleansed, refreshed, and glowing. Also, the pH 5 formula makes it a great daily cleanser gently enough for daily use. This was the spoiler for this box which did sound nice, although not exactly the kind of scented product I had in mind. I can’t imagine paying $41 for this little jar of cleanser but we do know that Memebox retail prices tend to be inflated. I don’t usually open products that I don’t need at the moment but since this was a scent box, I figured I should be able to actually comment on the scents. I do enjoy the scent of this one. It has a super unusual looking texture but I think it will be nice. It is noted on the card that this is best before December of 2015 which is a bit disappointing but since it is pretty easy to use cleansers up quickly, this shouldn’t be a big issue. This super sweet and fruity scented lip crayon glides on effortlessly and wraps lips in sinfully sweet scent and highly pigmented colour. The hydrating formula is packed with rose hip oil, avocado oil, and macadamia seed oil to plump and perfect, for more lovely lip. The high-pigment colour stays put – no smudging or bleeding – making sure your lips are on point throughout the night. I actually really love the colour of this lip crayon. I’m not sure if it will live up to the promises of no smudging or bleeding because I haven’t worn it on my lips yet, but it definitely is pigmented. I wasn’t expecting the smell to be great but it actually is! It is a nice berry type smell that I really enjoy! 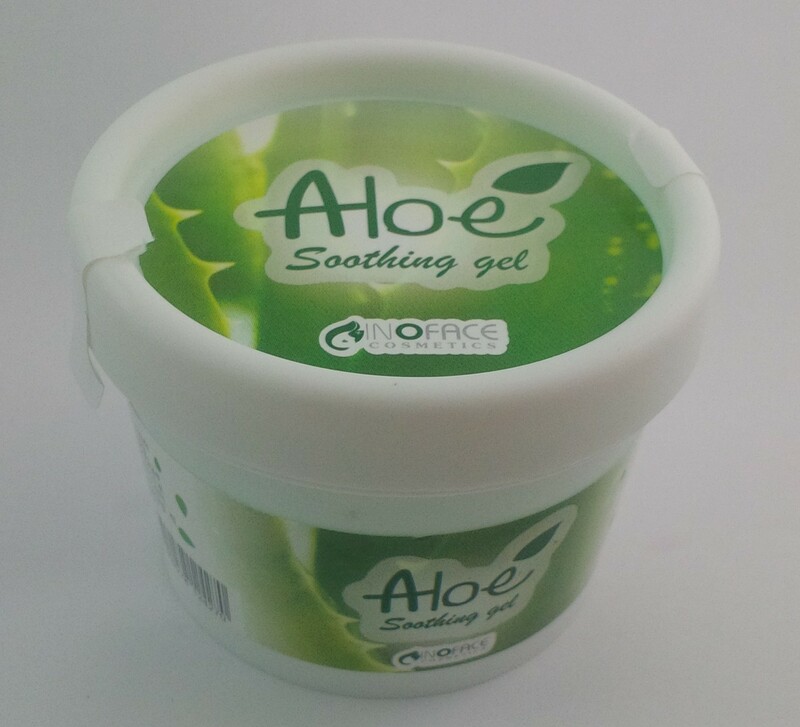 This refreshing aloe vera scented gel is formulated with fresh aloe vera, trelahose, parsley, and broccoli extract, this portable, soothing gel soothes sunburns, windburns, razor burns and other minor irritations. It can also be used as a daily moisturizer for those that suffer with oily skin. Use it on the face to speed up the recovery process for acne and other blemishes, or just to keep yourself refreshed throughout the day, never have this portable gel out of sight. I have to say, this one irritates me a little bit. First of all, I think they are overstating how much people use aloe vera in day to day life. I personally only use it when I have a pretty bad sunburn which in the middle of winter, does not happen for me. Secondly, I would not consider this to be a product that fits the scent theme really. I don’t know anyone who wears aloe gel so that they can smell like aloe vera. Finally, this little pot is definitely not worth $18 so I think for the most part, this is a miss for me. I may find some use for it in the summer but I’m not sure, hopefully I won’t be getting any bad sunburns. This beautifully scented, creamy body lotion has a beautiful musky scent that is enriched with macadamia nut and aloe vera extracts to soften, moisturize, and rejuvenate the skin. Plant extracts in the formula deeply nourish, help improve skin elasticity and smoothness, and provide head-to-toe hydration. It contains a proprietary blend of natural oils, emollients, extract, and oils known to soften and revitalize dry, tired skin. I think that they were on the right track with a scented body lotion and this definitely could have been a hit. However, I do not find musky scents to be beautiful at all. I personally dislike them quite a bit so this scent really isn’t for me. This is just a personal preference though, I’m sure some people find the scent to be very nice, it just isn’t for me unfortunately. This product was randomly selected from green tea, floral, rose bouquet, peppermint, fruity, or lavender. I received the peppermint version which is just a plain packaging knock off of Red Bull holy moly. I probably would have preferred the fruity or lavender version of this. The peppermint is very strong and I wouldn’t want to smell like it but maybe I can use it as a kind of aromatherapy or something when I’m not feeling well. This bottle actually had leaked all over my box too when I received it so a far amount of the product was actually lost. 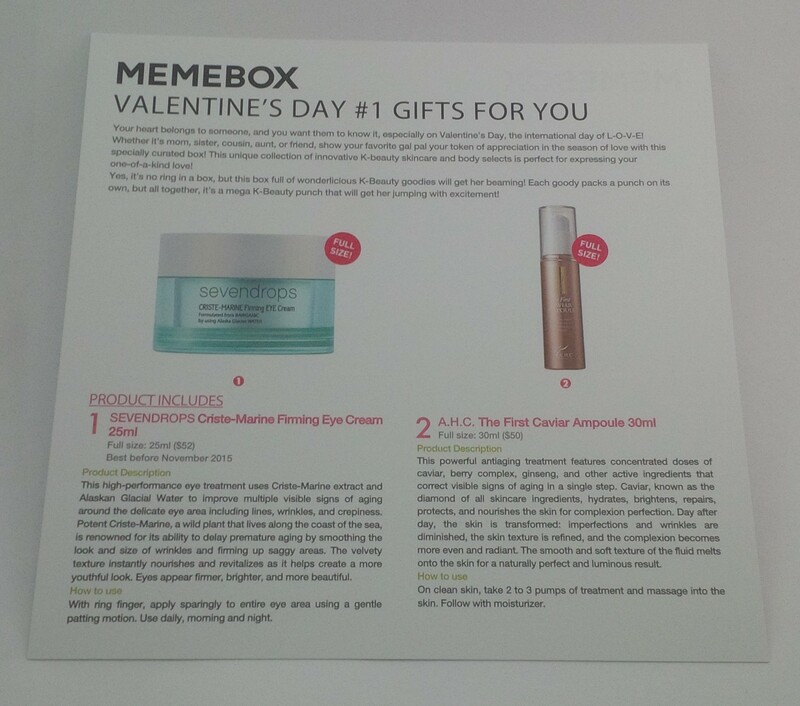 Overall, I think that Memebox kind of missed the mark on this one in terms of the actual theme. I think that a lot of people were disappointed in the fact that this is a scent box and not a single actual perfume type product was included. I think I was disappointed because the scents all seemed to be drugstore, plain types of scents and I think they could have done a much better job curating this one. For this box, I paid about $25 and the total retail value was $89. MaskGenie is a service that I am so excited about! As of right now, this is a service that you need to “purchase” each month, so it is not a recurring subscription at the moment. Every month, you will receive different types of face masks that Genie has tested out and thinks are of good enough quality for you to try! There are two options for purchase: 5 masks for $12, or 10 masks for $22. Both of these prices include the shipping from Hong Kong so that is pretty good. 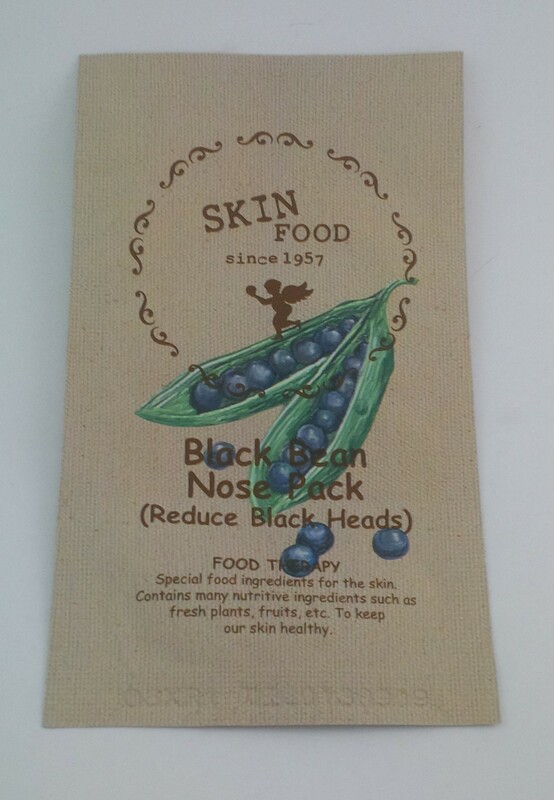 I am assuming that this is a nose pack similar to the Bioré strips that you can use to remove blackheads. I may be wrong but that’s what I am assuming. 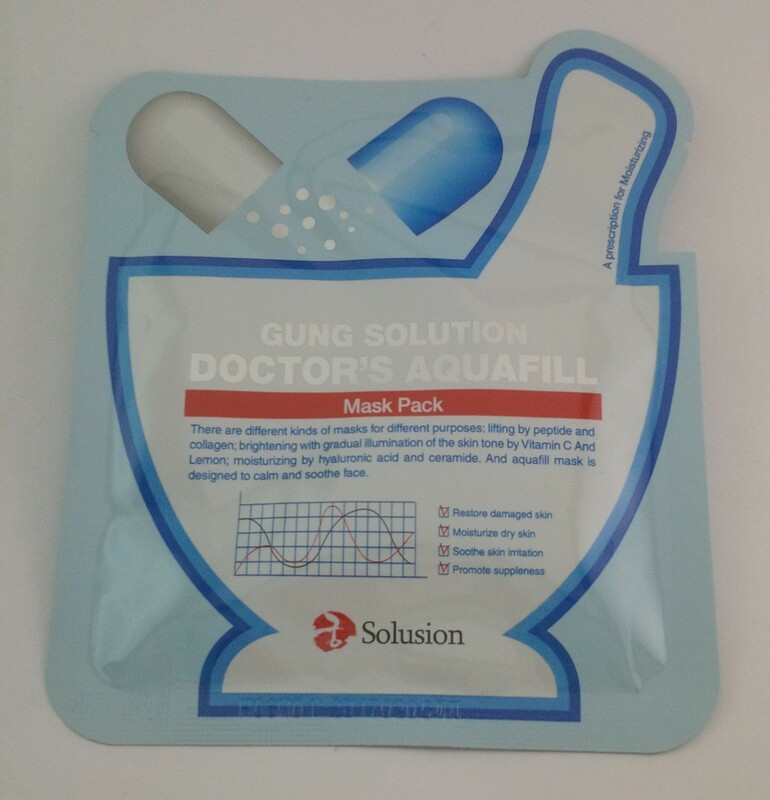 MaskGenie pouches don’t come with an informational card so I am using what I can find online and Genie’s unboxing video to describe these masks. These strips are always nice to have and I do enjoy Skinfood products! According to Genie, this mask is quite hard to get ahold of so hopefully that is because they are good and everyone wants to use them. The packaging states that this will help with aging and will firm the skin, restoring elasticity. I love the packaging of this, I think it is so cute, even though that has nothing to do with how the product itself performs. I look forward to trying it! 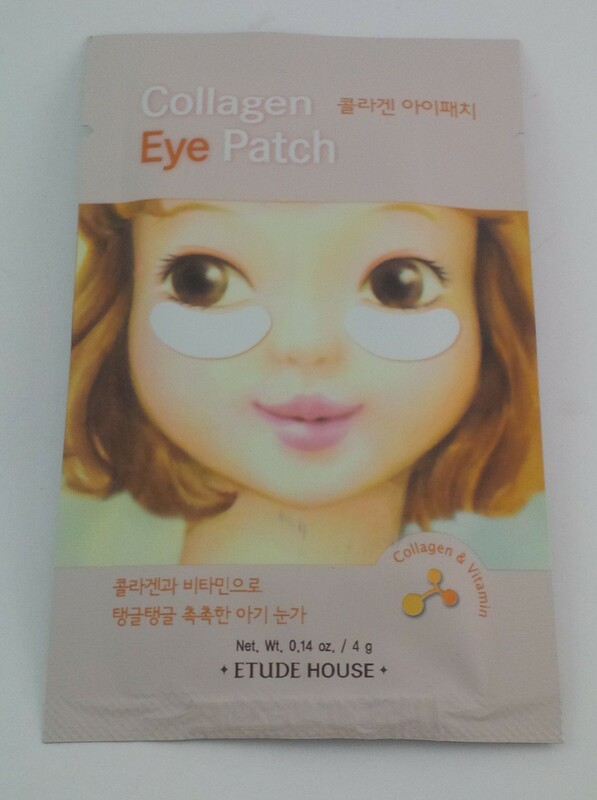 This is a product that Genie herself hasn’t tried but Etude House is a well known brand and eye patches seem to be very in at the moment. They are usually to help restore moisture under the eyes, to decrease puffiness, and to sometimes reduce dark circles. My dark circles are hereditary so things like this don’t work for the purpose but it is always nice to be able to keep the dry skin away from around my eyes. 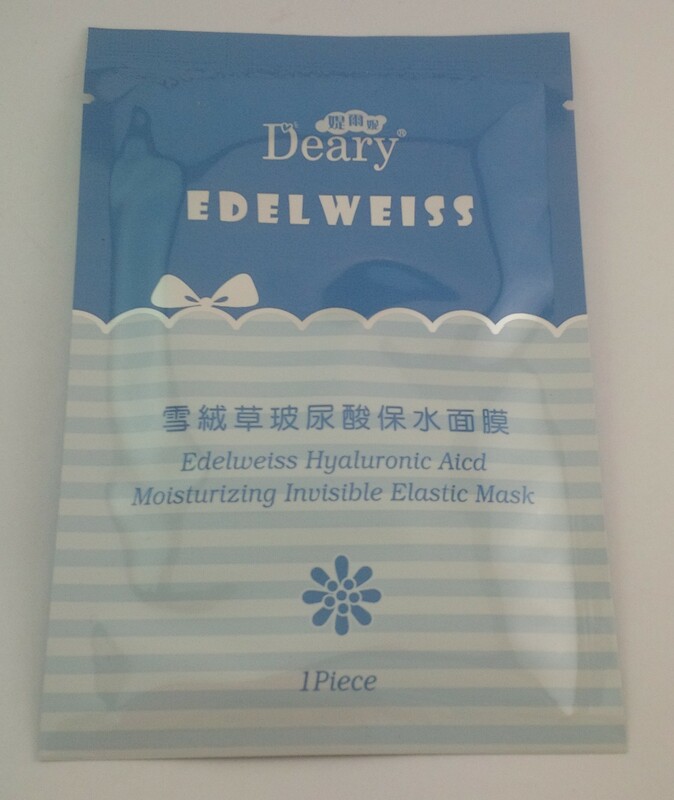 I have heard many things about My Beauty Diary masks but have never actually tried one myself. 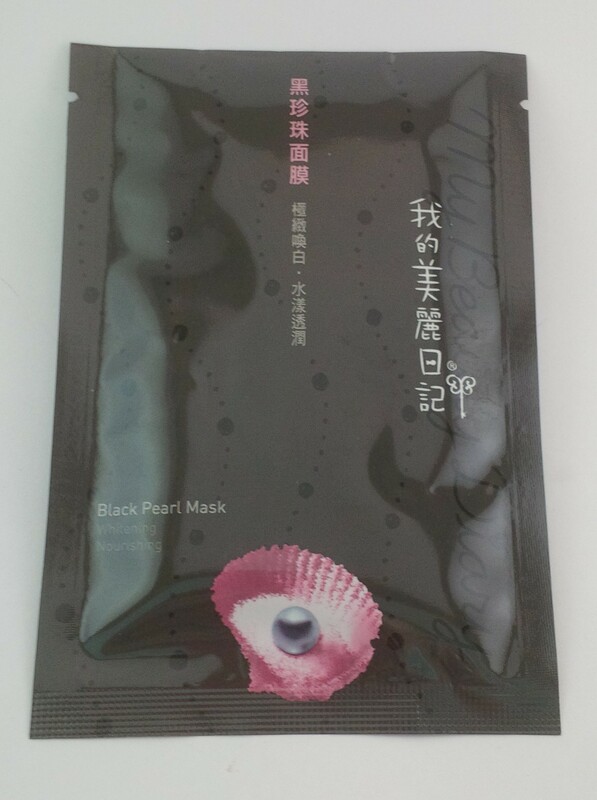 This Black Pearl mask is for whitening and nourishing and according to Genie, it is very moisturizing. Whitening products in Korea usually mean that they are brightening which is great during the winter because I find my complexion to be quite dull. This mask feels pretty thick through the packaging so I look forward to seeing how it performs! 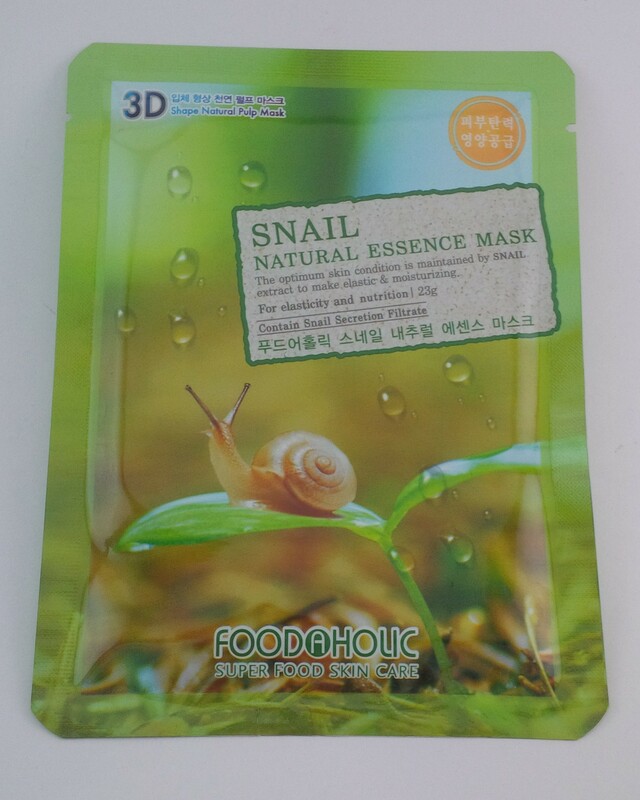 I have purchased a couple of Foodaholic 3D masks before but I don’t think I have the snail, and I actually haven’t tried the ones I purchased yet. Apparently, because of the 3D aspect, these masks have a very nice face shape so they fit well while you are wearing them. However, they do not seem to have a lot of essence to them so don’t be surprised when you open it up and the mask isn’t completely soaked in it like some masks are. I will be trying this one out soon! 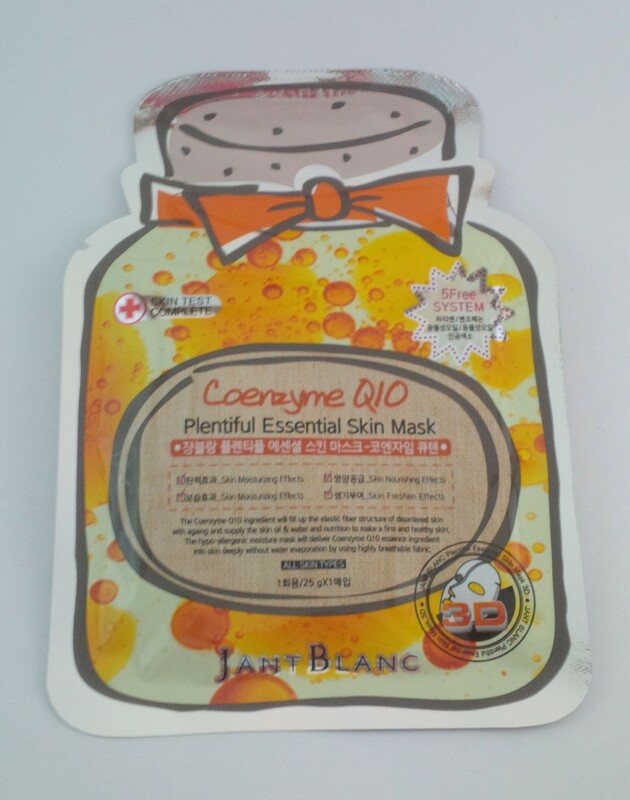 This mask is made my the SecretKey brand which is on par with a drug store brand in Korea. There were a couple different variations of this mask sent out in this months pouch. This one is focused on moisturizing but there were also masks focusing on lifting and brightening. This uses hyaluronic acid and ceramide to calm and soothe the face while moisturizing. I’m happy that I got the moisturizing one since the air here is so dry! That is quite the name for this mask. This is another one that had several variations including this Edelweiss one, a rose type, a chamomile, and a pomegranate. According to Genie, these are masks from Taiwan and they are really nice to use! She seemed quite excited to send these out in the pouches for people to try. This sounds like another nice one for moisturizing which I am happy about! This one came in this pink brightening type, a blue moisturizing type, and a yellow one that Genie thinks was for firming. As much as I enjoy moisturizing masks, it is nice to have some variety so I’m happy I got the brightening one. She hasn’t tried these masks yet but thought the girls on the packaging were super cute so wanted to try them. I agree about the girls, the one on this mask is pretty. Once again, I know this has nothing to do with the product itself but nice packaging is appealing. Hopefully this will be a nice one! 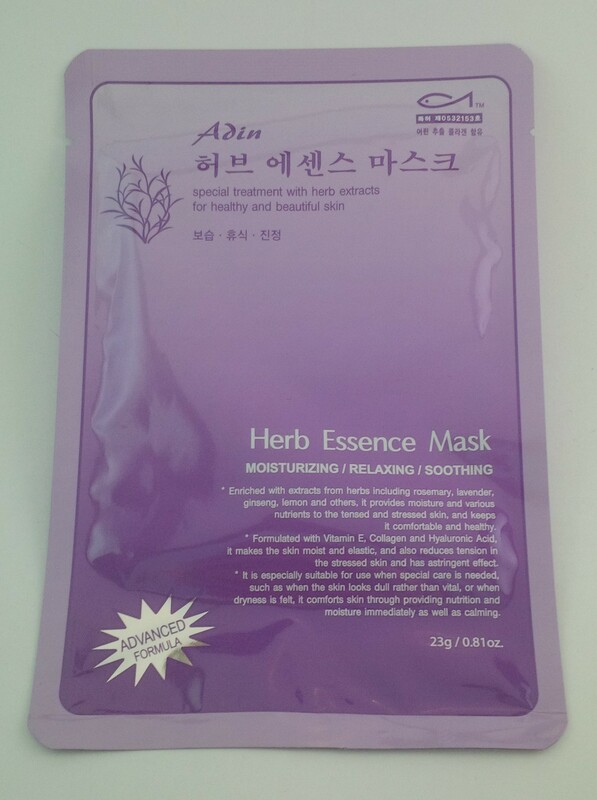 This mask apparently uses rosemary, lavender, ginseng, lavender, vitamin E, collagen, and hyaluronic acid to help moisturize, relax, and soothe the skin. It claims to be especially useful when skin is extra dull, dry, and in need of nutrition. I haven’t heard of this brand before but it sounds like there are some nice ingredients in the mask so I am sure it will be nice to try. One interesting thing to note is that it gives you suggestions of use based on the season. In the summer, they recommend you keep the package in the refrigerator, which I assume is to create a cooling effect. In the winter, they suggest you soak the package in warm water for 2-3 minutes before use which I have never seen before. Very interesting! This is from the same brand that makes the bubbling face mask we received in the January pouch. I really liked that bubbling mask so I am sure I will really like this too. 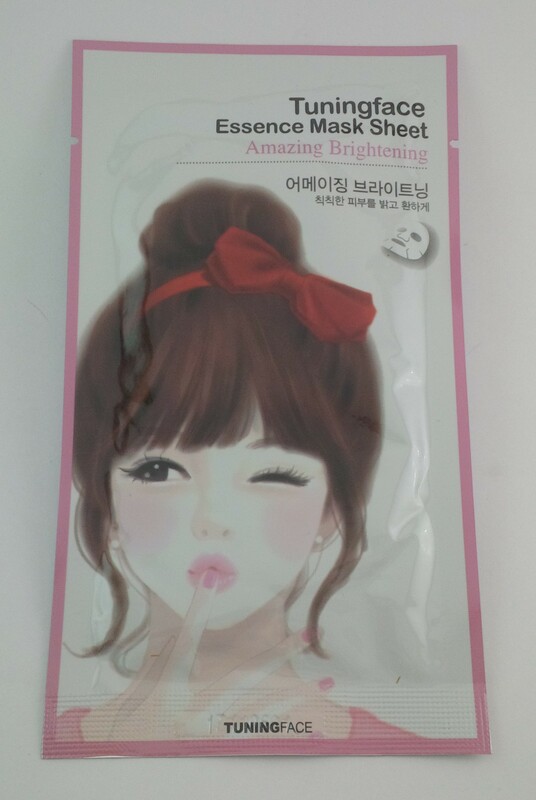 This mask is a sleeping pack and I am happy that it comes in a resealable package since it comes in a foil pouch. 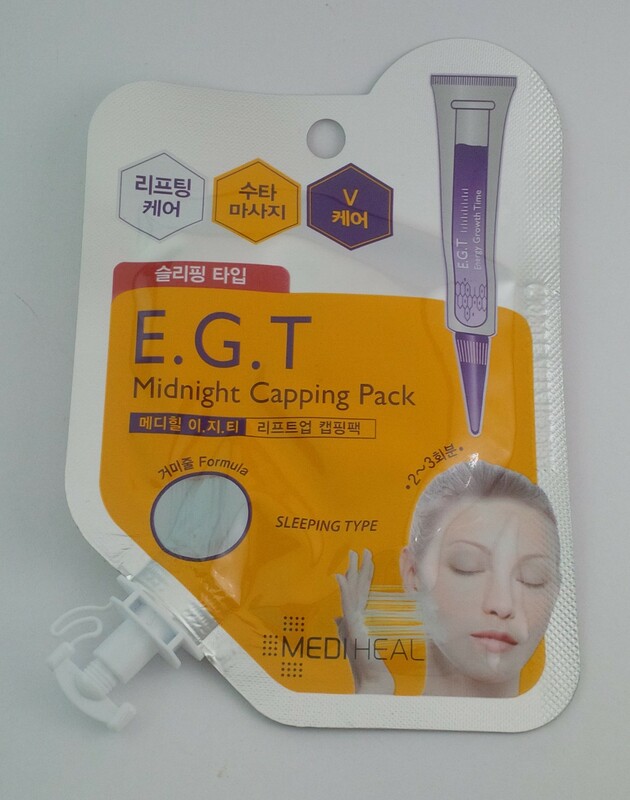 Genie also sent out a H.D.P Shower Capping Pack which rather than being a sleeping pack, is a wash off type of mask. This mask looks like it has the Dreams Bounce Cheese Cream kind of texture so it will be interesting to use .Apparently even with generous use, you can get a week or more out of this pack which is quite nice! I am happy with my February pouch! At the moment, this is definitely one of my favourite monthly subscriptions. I love masks so much and it is neat that I can try all these different masks that I probably wouldn’t have ever even heard about otherwise. The approximate retail value of this months pouch is about $14. This is a little bit low but the purchase cost includes shipping from Hong Kong and the value is in the usefulness of the products so I’m still happy. If you are interested in learning more about this service, you can find the MaskGenie Facebook page at https://www.facebook.com/MaskGenie or you can watch Genie’s video that will tell you about Mask Genie here: MaskGenie Video. If you would like to try out this service, just email maskgenie@gmail.com with your paypal email address and they will send you an invoice! Disclaimer: This pouch was purchased with my own money. All photos and opinions are honest and my own.